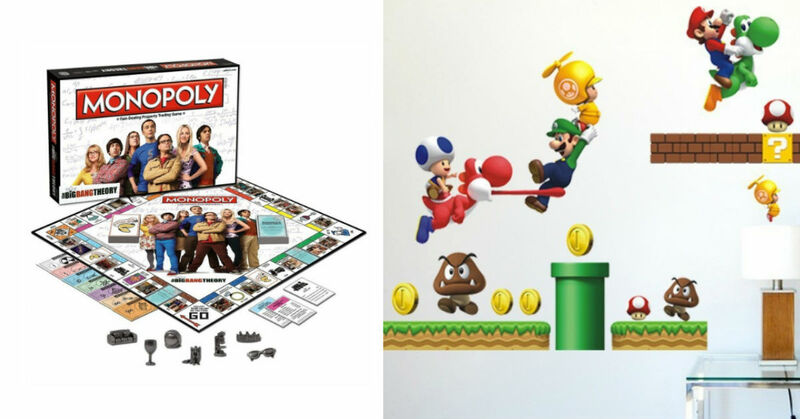 Just got married and settling into your new home? Congratulations! 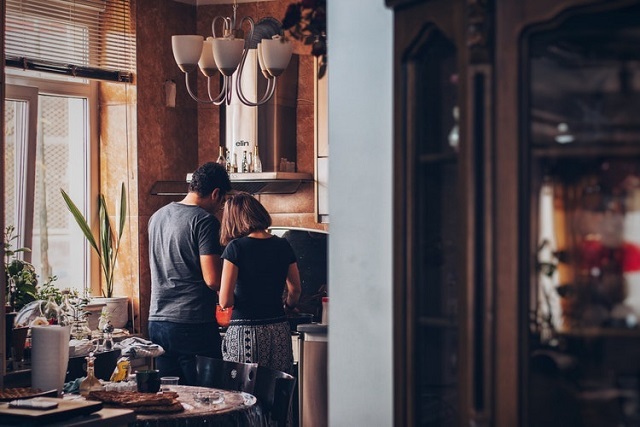 Now comes the slightly overwhelming part, especially if you’re a first-time homeowner — setting up your very own kitchen. As you’re confronted with the seemingly daunting task of filling up this empty space, you might feel lost as to which kitchen equipment and tools you absolutely need to buy and which are the ones you could do without for now. But not to worry, our handy kitchen equipment list is here to help you along! As the most essential kitchen equipment you’ll need in your home, a refrigerator is probably the first appliance you need to buy! 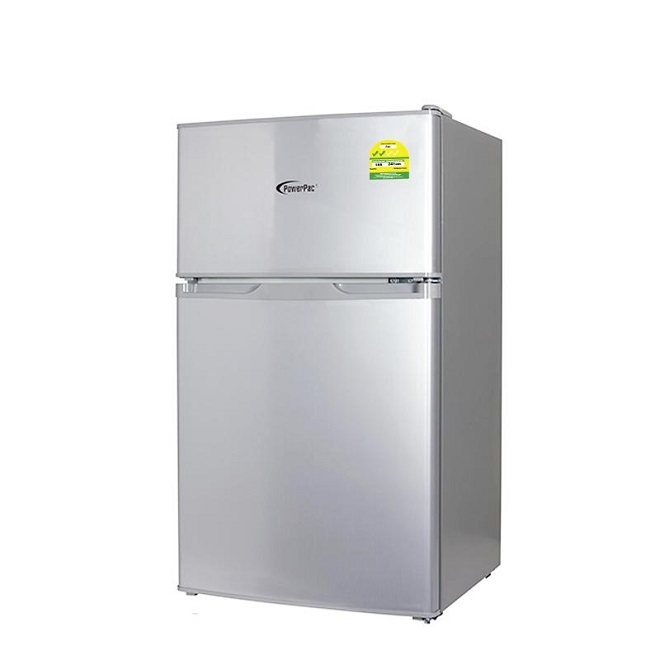 Depending on your needs, choose from the different types of refrigerators in the market. Besides single or double door options, you can also consider additional features such as water dispenser functions. We like this PowerPac 85L fridge with freezer (available on PowerPac) for its optimal door gasket design and energy efficient compressor! It’s of a good size and will definitely help to preserve the freshness of your food! If you find yourself dead beat from a day’s work but still desire homecooked meals, pressure cookers are essential to have on your kitchen equipment list! 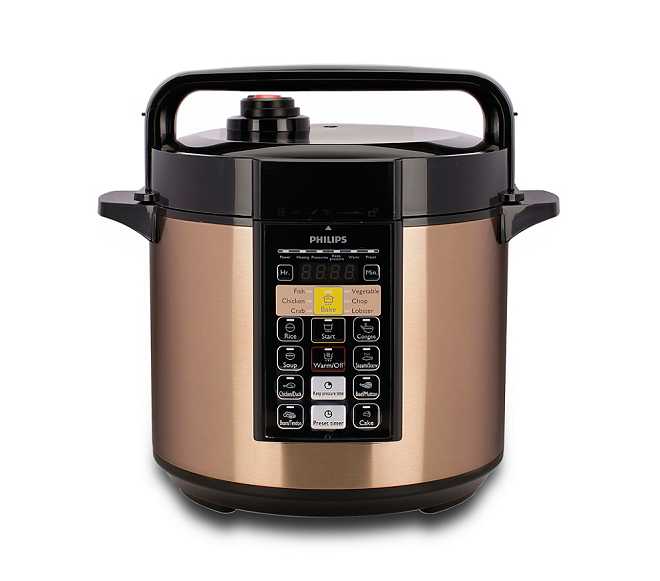 Simple and fuss-free, this Philips pressure cooker (available on Philips) is indeed a lifesaver those new to cooking! Pressure cookers are preferred for their shorter cooking time as it uses trapped steam for cooking. The food is also believed to be healthier as the high temperature is able to better preserve the nutrients! We can all safely agree that the invention of the microwave has made meal prep much easier and less time-consuming. 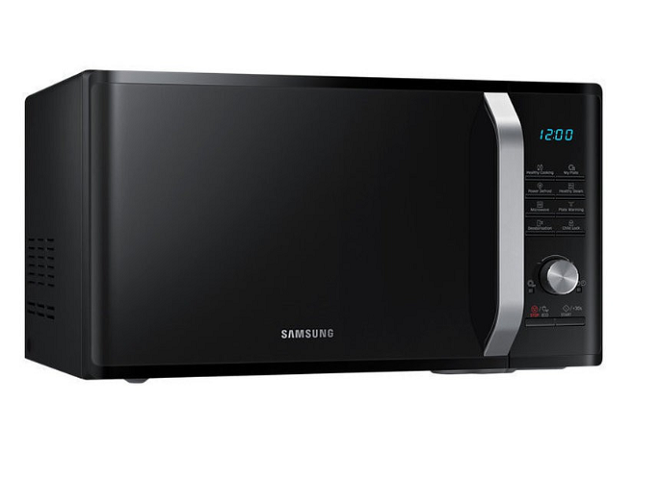 Microwaves like this Samsung microwave oven (available on Earth) saves you lots of time compared to traditional methods of cooking — you can reheat leftover food and even defrost meat in under 10 minutes with this kitchen equipment. Depending on the type of food, you can also set a timer, after which the oven will switch off automatically so there’s no need to worry about leaving it unattended! 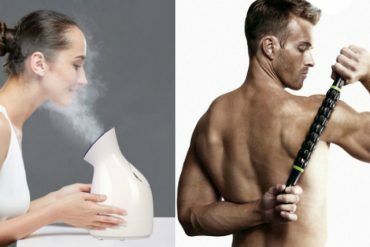 Cleaning is also a breeze! Simply squeeze lemon juice into a bowl and add half a cup of water before placing it into the microwave. Set the timer for three minutes — during this time the lemon will help to dislodge food residue. Let the solution stand for another five minutes before wiping down the inside with a clean dishcloth! Purifying water through boiling is an important practice which you’ll want to continue in your new home! 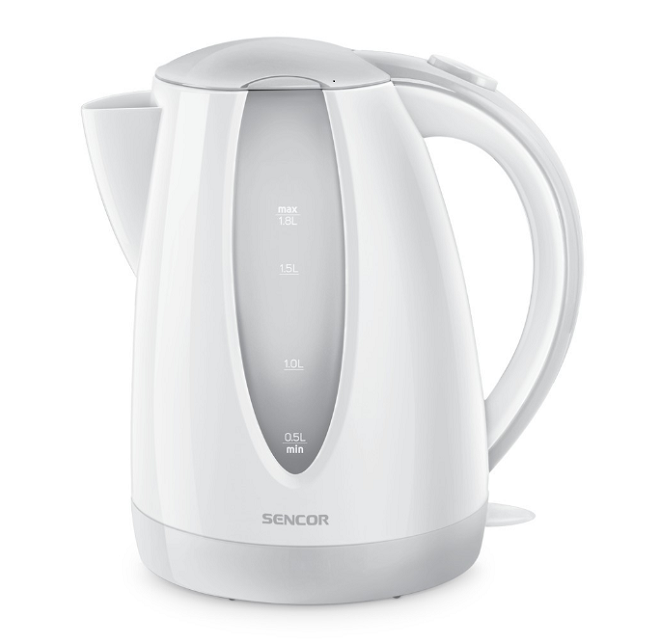 Given that safety is always the prime concern, opt for this triple safety-system Senor electric kettle (available on sencorshopee) for your new kitchen! It automatically shuts off when removed from the base or when the boiling point is reached preventing any hot water spillage incidents. This is one essential you can’t do without and definitely earns a spot on our kitchen equipment list! Pots, pans and woks are essential workhorses in your kitchen! However, it might get a little overwhelming while determining which pan shape, size and material you should look out for. 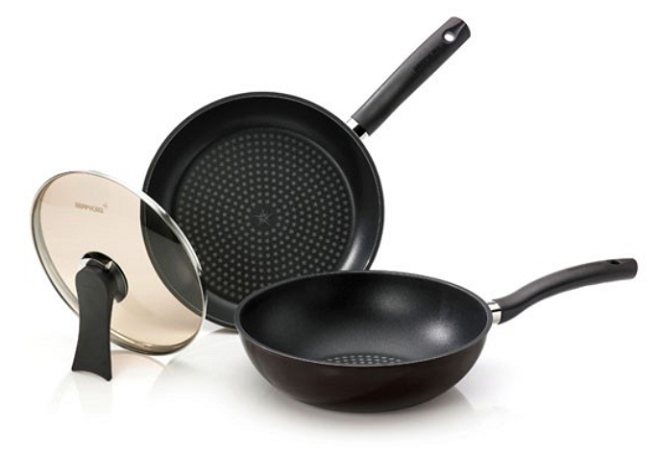 For first-time homeowners, we recommend starting with a set of Happycall frypan set (available on Happy Call Shop) which comes with a non-stick wok, frying pan and a steam lid! Once you’re comfortable and more adept in the kitchen, you can gradually expand your collection over time and invest in larger woks and pans! Have all your appliances and ready to prepare your ingredients for cooking? Make sure you have a few basic knives on hand too! Look for knives that are sharp and sturdy, with comfortable handles and durable construction. 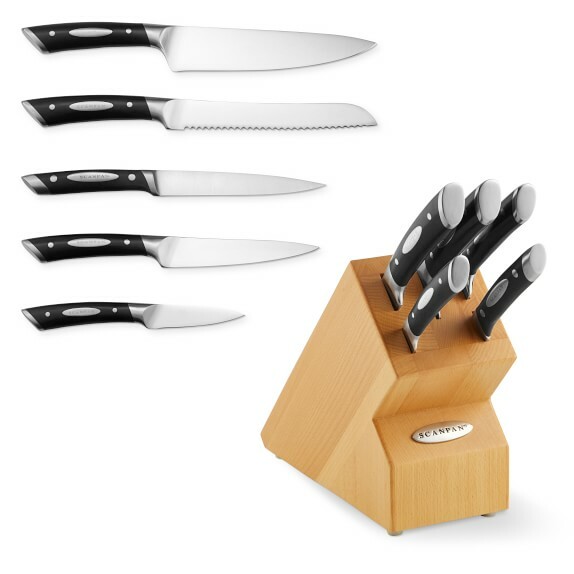 This Scanpan knife set (available on Scanpan), features six different kinds of knives you can use, including the everyday chef knife, serrated or bread knife and a paring knife for slicing smaller food items! Remember to use a knife sharpener from time to time and complement your knives with a solid chopping board too. 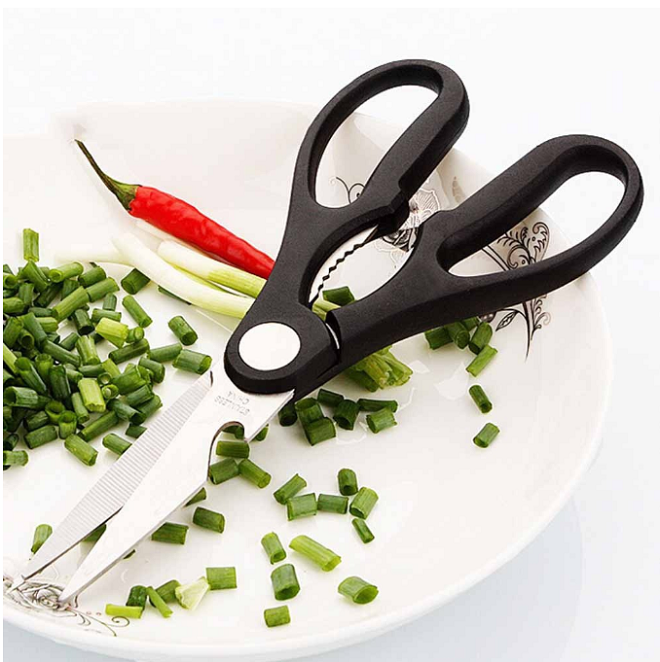 This pair of stainless steel kitchen shears (available on hequ.sg) is incredibly useful to have at your disposal! Kitchen shears are a multitool that can be used in many ways such as cutting open food packaging and trimming poultry. Find yourself needing to cut through poultry bones? Kitchen shears can do that too! Consider getting this pair of heavy-duty kitchen shears (available on Toplus.sg) for some added muscle strength. Kitchen tongs are another indispensable kitchen equipment tool you need to have! These Dilas Home kitchen tongs (available on dilashome.sg) can be used for flipping meat on the grill or used for serving up salads and pasta! 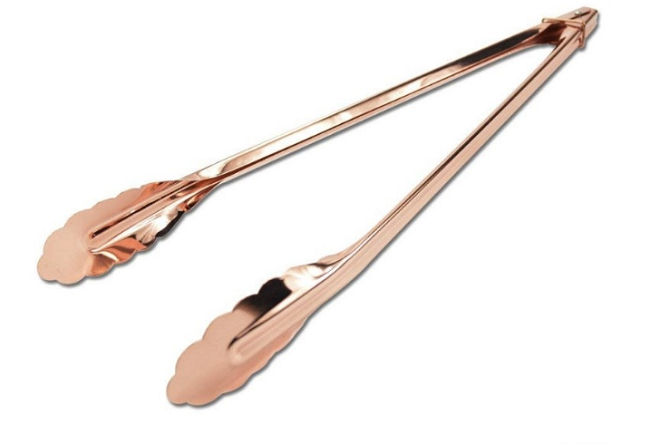 Plus, don’t we all agree that the rose-gold colour adds a luxurious look and feel to this seemingly basic kitchen tool? We can’t leave plates and bowls (not forgetting your cutlery) out of this kitchen equipment list! Arguably the centrepiece of your dining table, you’ll want to buy a dinnerware set that’ll not just look aesthetically pleasing but is also practical for quick meals before jetting off to work. Want to nail the minimalist vibes at your dinner table? 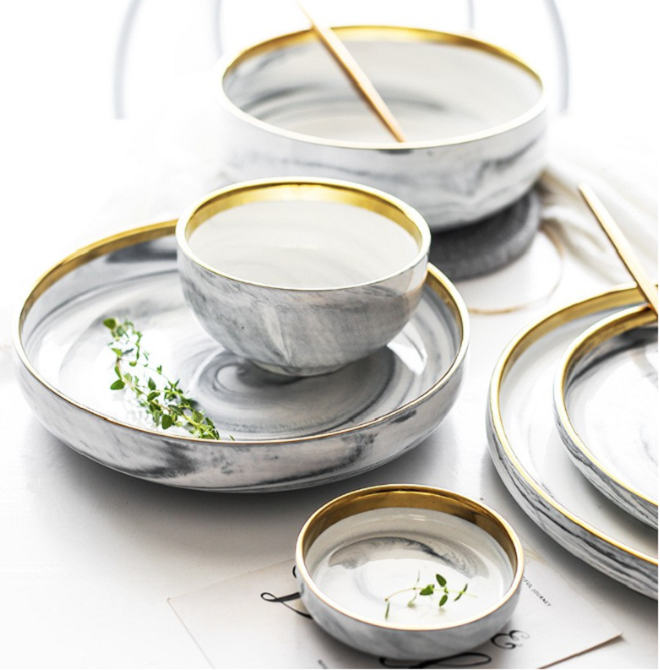 Why not opt for a marble ceramic dinnerware set (available on Meet the most beautiful you)! This classic dinnerware set consists of plates that come in two different sizes as well as rice and soup bowls, providing options depending on your needs! On the other hand, if you want to go old-school, choose this vintage blue tiles dinnerware collection (available on Lovera_Collections)! Furnish your new homes with essential kitchen equipment today! With this kitchen equipment list we’ve dished out for you, we hope that setting up your kitchen will seem less daunting and more enjoyable! Looking for kitchen design inspiration? Whether you are going for conventional old-school vibes or the contemporary look, learn how to design a kitchen on a budget! If you’re a baking enthusiast, make sure you tick these useful baking equipment and tools off your list too!